Recent Arrival! All-Wheel Drive, Good Tires, Good Brakes, 4WD, Dark Slate Gray w/Premium Cloth Bucket Seats, 115V Auxiliary Power Outlet, 17" x 6.5" Aluminum Wheels, 4-Wheel Disc Brakes, ABS brakes, Air Conditioning, AM/FM radio, Anti-whiplash front head restraints, Audio Jack Input for Mobile Devices, Body Color Door Handles, Body Color Liftgate Applique, Brake assist, CD player, Driver Seat Height Adjuster, Dual front impact airbags, Electronic Stability Control, Four wheel independent suspension, Front Bucket Seats, Front fog lights, Front Passenger Forward Fold Flat Seat, Heated Front Seats, Illuminated Entry, Keyless Entry, Latitude Badge, Leather Wrapped Steering Wheel, MP3 decoder, Occupant sensing airbag, Overhead airbag, Power Driver 1-Touch Windows, Power Heated Fold-Away Mirrors, Power steering, Premium Cloth Bucket Seats, Quick Order Package 26B, Radio: Media Center 130 CD/MP3, Rear 60/40 Split Recline Seat, Roof rack: rails only, Speed control, Speed Sensitive Power Locks, Split folding rear seat, Steering Wheel Mounted Audio Controls, Traction control, Variably intermittent wipers. Clean CARFAX. 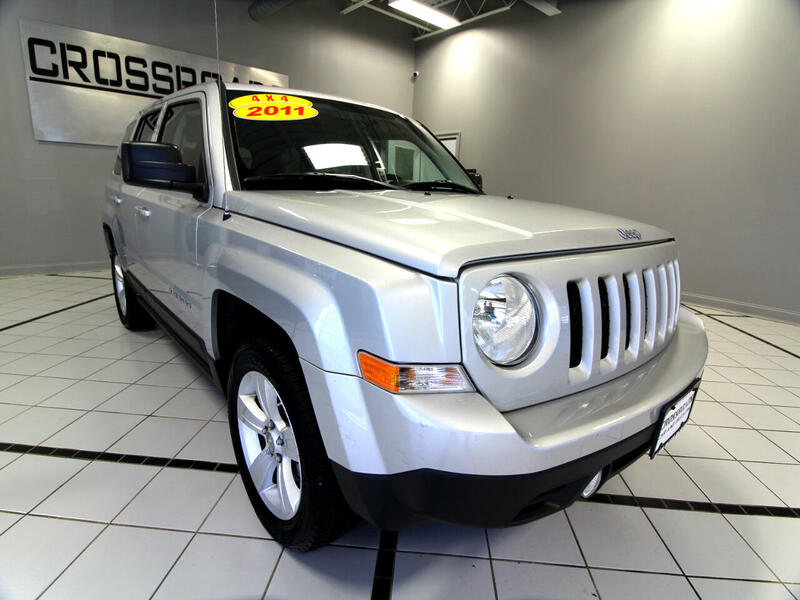 Bright Silver Metallic Clearcoat 2011 Jeep Patriot Sport 4D Sport Utility 4WD 2.4L I4 DOHC 16V Dual VVT CVT Odometer is 61691 miles below market average!